Over time, your car will experience normal wear and tear. Transmissions are not immune. Keep reading to discover reasons for transmission slipping. If the transmission in your vehicle is slipping, it doesn't necessarily mean that it's going to fail on you anytime soon. But if you don't address the transmission slipping, it could very well force you to make major transmission repairs at some point in the future. Replacing a transmission in a car, truck, or SUV can cost anywhere from $1,000 all the way up to $6,000 in some cases. It can also put your vehicle on the shelf for a few weeks, which is why you should avoid it at all costs. There are a number of things that can cause a slipping transmission. In some cases, you can stop the slipping by making a minor repair. In others, it'll take more time and money to fix the problem. Either way, you should stop transmission slipping ASAP. Keep reading to learn about common causes for a slipping transmission. First, What Are Signs of a Slipping Transmission? Before we start talking about what causes transmission slipping, it's important for you to know some of the signs of it. By educating yourself about the signs of a slipping transmission, you can keep an eye out for them when you're behind the wheel. Don't ignore these signs! They could be letting you know that your transmission is slipping. Now, let's check out some things that can cause automatic transmission slippage. Is there a chance that your vehicle might not have enough transmission fluid in it? If so, that could be causing you to experience a slipping transmission. Unfortunately, a lot of today's cars don't have dipsticks in them that allow you to check your transmission fluid level. But if you are low on transmission fluid, it's usually because there is a problem somewhere in your system that's causing the transmission fluid to leak. You should, therefore, keep an eye out for signs of a transmission fluid leak. Transmission fluid is typically red in color and slick and will often pool underneath of your car when it's leaking out. It'll be important for you to find the source of the leak and have it repaired to stop this problem from reoccurring so that your transmission stops slipping and causing further damage. If you must drive the vehicle, topping off the fluid to the full mark on the dipstick should get you to the repair facility if the leak is not too severe. If the leak is severe, have the vehicle towed and do not drive it as that will cause severe damage to the internal lubricated parts. If you don't fix the leak and keep enough transmission fluid in your vehicle, it will lead to overheating. It could also lead to a lack of hydraulic pressure in your transmission, which will often cause your transmission to slip and struggle when it tries to engage and change from one gear to the next. Outside of fixing the leaks, you should also find out how often your car's manufacturer recommends having your transmission fluid replaced. Most modern cars, trucks, and SUVs rely on synthetic fluids that will last for an extended time, but you will likely need to replace your transmission fluid at some point. You'll need to be extra mindful about replacing your transmission fluid more often if you tow with your vehicle or live in an area with hills, a lot of stop and go traffic, or severe weather. Most car manufacturers will provide severe service recommendations that is more often and for less mileage for those vehicles that experience any of these categories. Follow the recommendations given to you by your car's manufacturer so that you know your vehicle always has the correct, fresh transmission fluid in it. Stay vigilant to leak and you will avoid transmission slipping for an extended period of time. Most automatic transmissions have a devices or devices called bands that are an important friction device used to shift various gears in a transmission. Those bands need to stay strong and connected to help you avoid a slipping or harsh shifting transmission. But over time, all friction wears and the bands in your transmission can break or wear due to the stresses put on your vehicle. The only way to repair this particular problem is by bringing your vehicle in for service and having the bands that have broken or worn down replaced during an overhaul. This will stop your transmission from shifting improperly or slipping while you're driving your car. Those with manual transmissions in their vehicles are all too familiar with the clutch that they use to disengage the engine from the transmission in order to switch gears without grinding. But it's important to remember that automatic transmissions also have clutches as well, even though the driver doesn't have to worry about controlling it themselves. These clutches are made up of plates that consist of steel plates with friction material attached to them and steel plates with no friction on them, all sandwiched together in a pack. These clutch plates in an automatic operate in that precious transmission fluid and play an integral role in the operation of your clutch as a whole. But automatic transmission clutch plates are paper thin, and if the transmission is not maintained with fluid changes and leak avoidance, it's not uncommon at all for the friction material in clutch plates to wear out over time and cause transmission slipping. The problem is that, once this material has worn away, there is no reversing the damage that has been done. Your transmission is going to continue to slip until the transmission has been overhauled and the worn clutch plates and other parts have been replaced. The gears in your transmission are some the most rugged parts in the transmission but also some of the most important parts in it, too. The gears are called planetary gears and they play an important part in compounding ratios that allow you to go faster and put your car into reverse. Transmission gears are designed to last for a long time and can put up with almost anything that you throw at them. But like all auto parts, they can break and wear down over the years before finally giving out on you altogether. When your planetary gears brak down, they won't be able to mesh properly with the companion gears like they normally do. This can cause your vehicle to make horrible noises and jerk around a lot when you're driving. 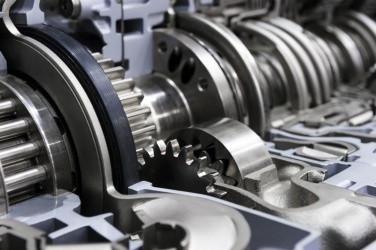 If your transmission has problems because of an issue with your gears, they'll need to be replaced during an overhaul before you can start driving your car again. The problem is that when you have damage to metal gears, the metal that comes off of those parts travel all through the transmission and into some extremely sensitive solenoids, valves, and passages. A complete overhaul is often necessary to remove the debris. The solenoid is an electrohydraulic valve that controls how much transmission fluid is allowed to pass through your transmission at any given time. It's the gatekeeper for your transmission in a lot of ways and must be working for your transmission to not slip and to shift properly. If any of the many solenoids in your transmission are ever damaged or if there are ever any electrical issues with them, they might start to allow too much transmission fluid or too little transmission fluid to pass through your transmission's shifting passages and pressure controls. This can, as you might expect, lead to lots of problems, including transmission overheating and slipping. A damaged solenoid will need to be replaced to stop the slipping from taking place. It's a pretty inexpensive part in the grand scheme of things, but it can make a world of a difference for your transmission. Torque converters are another aspect of your transmission that not everyone knows about. But much like solenoids, the torque converters in transmissions play an important part in their operation. A torque converter is a fluid coupler that also contains a friction clutch in it that locks up solid when you go into overdrive in order to provide you with better gas mileage. Until it goes into lock-up, it actually slips by design since it uses fluid to drive the transmission. But problems can arise when a torque converter fails to do its job properly. When a torque converter malfunctions, it can cause an excessive amount of heat to build up inside of a transmission, and that heat can do damage to the rest of the transmission. If your transmission is slipping, you might be tempted to try and fix it on your own. But if you are uncomfortable or inexperienced when it comes to working on your transmission, maybe you should seek out a professional with experience with your type of transmission, such as the experts at AAMCO. Your transmission is far too important to your car and too expensive for you to be messing around with it. Bring your vehicle to a transmission specialist instead and have them take a look at it if you feel your transmission slipping, overheating, or shifting strangely. They'll be able to diagnose the real problem with your vehicle and get it up and running again in no time. It may not even be your transmission since many external factors will also cause these types of problems. Would you like to have your transmission inspected by someone who knows what they're doing? 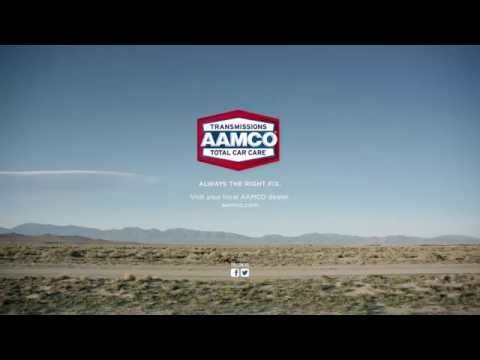 Call us today at (800) GO-AAMCO to or locate a service center near you by visiting the online center locator, to schedule service on your transmission or on one of the other parts of your vehicle.